Remember when everyone was panicking about owning an SUV due to the rollovers that seemed to be happening every other weekend? 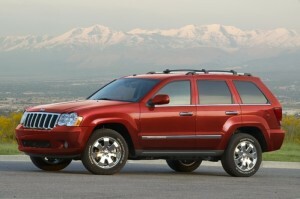 The first few SUV released were giant creatures, top-heavy to say the least. Today, better standards have come in the manufacturing of these handy vehicles, and it’s made them safer to drive and more reliable in the process. 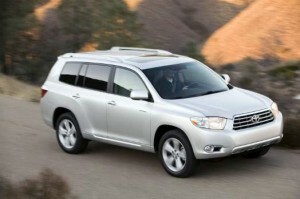 The government has adapted stricter testing standards for the 2011 model year, so after researching the automotive experts’ archives at Car and Driver, Consumer Reports, Edmunds, and Motor Trend, we’ve found which SUV have passed the test and can now be labeled as the top safest SUV for 2011. These two are coupled together because they are basically the same vehicle with different emblems on the grille. As such, their safety scores were identical, and perfect. Not only did they score a perfect five stars in all front and side-impact tests, they also received a rating of “Good” for the roof strength test. These GM sport-utes feature front side airbags, side-curtain airbags, a rearview parking camera, and OnStar. Rear parking sensors remain an option, but do not come standard. Braking tested out at average for a vehicle of this size, stopping from 60 mph in just 121 feet. There are SUVs that can beat these twins in cargo space and power, but not safety. The Highlander earned five stars in every test it was given, except for the front passenger frontal-impact test. Aside from that minor bump in the road, the Highlander is one of the most structurally sounds SUVs available. Its cabin is fitted with a total of seven airbags covering all three seats. Whiplash-reducing front head restraints also come standard. Fuel efficiency isn’t bad from the 2.4L four-cylinder engine, but most will want to stick with the 3.5L V6 as it provides more power and only drops the fuel economy by a couple miles per gallon. 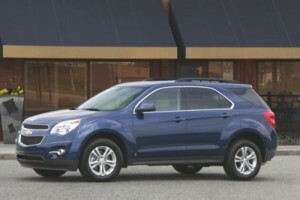 Its suspensions offers a smooth ride and decent handling, with stability control and hill-start assist coming standard. The Grand Cherokee earned four stars for all frontal protection from the government’s new stricter 2011 testing standards, and five stars for overall side protection. It also received a rating of Good from the IIHS in frontal-offset, side, and roof-strength tests. It no longer features the old boxy style that made it unique from other SUVs, but it still possesses its rugged demeanor, tackling off-road obstacles with enthusiasm. Quadra-Drive II is optional on the Laredo and Limited models; it adds electronic limited-slip differentials to both axles. The Sorento earned four stars in every crash test the government could throw at it for this model year. That’s not bad considering the stricter standards. It still maintained the highest overall rating of Good from the IIHS in all frontal-offset, side-impact, and roof strength tests. Braking for the Sorento is slightly above average, coming to a stop from 60 mph in just 120 feet. Stability control and hill-start assist, as well as hill-decent control, are all standard, as are active front head restraints. The price is definitely right for this size vehicle, but the ride and wind noise could make you realize there are better options out there.